This week, I wanted to share with you an interview that I agreed to do for the fashion blogger: Ayana Torio (from the UK). I let you now discover the whole interview. You can also look at the interview on Ayana's blog and follow her on instagram or facebook. "Hugo is a fashion blogger who I got into connection with through contacts. He is living the dream of being in one of the famous fashion cities, Paris. 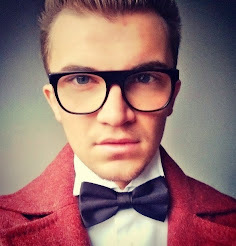 Get to know more about Hugo and his tips for anyone who is interested in fashion blogging. Ayana: Hello Hugo, how are you ? Hugo: Hello Ayana, I’m good. Happy to talk about fashion with you. How does it feel to live in one of the fashion cities ? Well, I don’t really realise so much. Of course, it’s nice because every season there are 2 fashion weeks (men and women) and in that way it’s interesting: to see some fashion shows and also to visit showrooms to discover some new emerging brands or see the latest collections of brands I follow. It also allows to see fashion friends from all around the world. What inspired you to go into the fashion route ? I’ve discovered my passion for fashion around 2011/2012. I think, what inspired me at the first time is the fashion magazines like GQ, Vogue, l’Officiel. 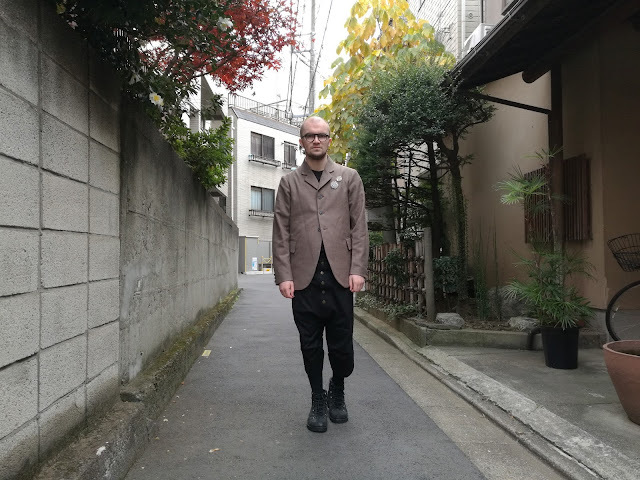 You can find nice outfits, not really wearable all day but in seeing that, I think I changed my mind and start to wear what I really like and to don’t care what people think. This period make me feel better. After that, I was looking for a fashion school to see if I could make it my job in the future. And it was a revelation. This area became a real passion. What made you become a fashion blogger ? I became a fashion blogger after my fashion studies. Many people around me held a blog and I said to myself, “So why can’t me”. So, I start blogging. It was totally new for me, a new experience. I wanted to create this blog to share my passion and vision of fashion in posting outfits, to make people discover new brands or even give fashion tips for people who need. Who inspires your work ? I like to get inspiration from brands (designers) that I follow and mix them in a different way than usual. They are mostly asian (japanese, chinese). They work with amazing fabrics and make amazing stuff with. People in the street or on the social network as instagram can be a source of inspiration to me. Art, Culture and Nature too. If I have to describe my style, I could say that it’s a mix of different styles : avant garde fashion, Japanese style, dark style, romantic and poetic. It depends on the day but I can mix two or three styles in one outfit. Is there any designers that you particularly admire the work of and why ? My two favorite designers are Yohji Yamamoto and Rei Kawakubo for Comme des Garçons. Both of these designers have created the Avant-Garde fashion. What I like the most is to be unique and wearing a piece from these designers make me feel unique, this is the most important for me and also wear what you like. I can add some others designers that I like a lot for their styles and also for the beautiful quality: Elena Dawson, Paul Harnden, Casey Casey, Uma Wang, By Walid, Ziggy Chen, Christopher Nemeth and S.S.S.R Venezia. What is your advice for anyone who is interested in becoming a fashion blogger ? If I have to give some advices to anyone who wants to become a fashion blogger is to be passionate, to do what you like and don’t think what people can think about your work. There will always be people who won’t be interesting on what you post or on your style. So, you have to be focus on your own way. Get inspiration from people and brands that you like but don’t copy them. Also, I know some people who wanted to create a blog just to have free clothes or even to be paid in making sponsored posts but it’s not how it works. As I said before, if you launch a blog, your first motivation should be your passion for fashion and sharing it with people. Of course you can accept collaborations or whatever but you have to think first if it’s you."